If you want to do some writing or make a video, the Practical Work component is a great chance to express yourself. Required for all CERTIFIED READER candidates. Open to all levels. Beginners welcome! Your work will be evaluated based on originality of ideas & examples. 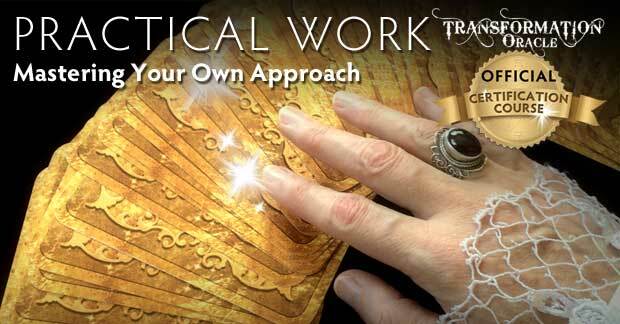 Your practical work may be published on the official Transformation Oracle website, with a link to your website. "Being a Certified Transformation Oracle Reader means I am able to reassure my clients I know what I am doing! It is my goal to give valuable and accurate for my clients. I am now confident I can empower them in their Spiritual Journey!" Download the PRACTICAL WORK description. Describe your personal experience with transformation in your life. You may focus on a single time of transformation or a theme of transformations over a period of time. Write in journal-style and refer to at least one card in each of the Four Elements (1-5 pages). Check out examples of Transformation Stories. Document your interpretations for an Element Balancing Spread. Keep the seeker’s identity anonymous (1 page). Study examples of Element Balancing Spreads. 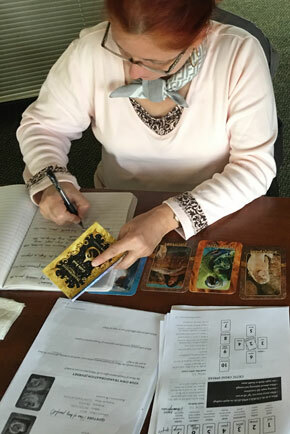 Document a reading using your choice of spread: Levels of Being, Project Spread, Celtic Cross, Chakra Spread, or any Expanded Spread (1-2 pages). Keep the seeker’s identity anonymous. Here are examples of Free Choice Spreads. 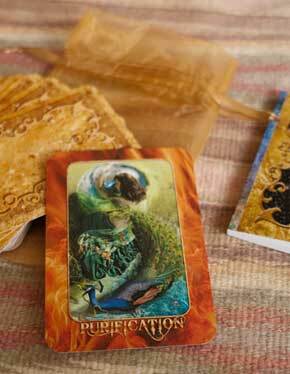 Pick one concept from the Transformation Oracle, such as a symbol, element, card, or theme. Write a short essay (1-5 pages) —OR- create a short video (2-5 minutes), in which you expand on the concept through original ideas & research, adding to the body of available knowledge. Use citations (footnotes or references) where necessary. Document your findings & submit for evaluation. Check out these examples of original research.